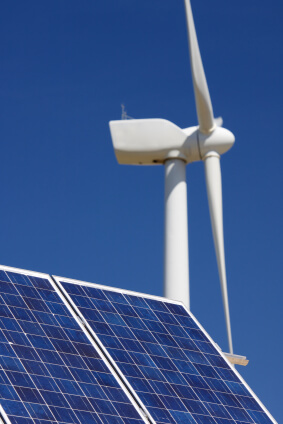 Looking for a clean energy supplier in Pennsylvania? Community Energy has already helped thousands of homes and businesses make the switch from Pennsylvania’s coal and nuclear-heavy generation mix to clean wind & solar energy. This article covers some of the options you have & questions you might ask if you’re considering changing to a clean energy supplier. Why should you switch to clean energy in PA? Electricity generation in Pennsylvania is highly carbon-intensive–our state is home to 28 coal-fired power plants, supplying 50% of our electricity, making it a sort of ground zero for climate change. Among all US states, PA is has the dubious honor of taking 3rd place in total carbon dioxide emissions. Even beyond carbon emissions, there are other reasons why the state should move away from coal. The health and environmental impacts of coal power are significant and well-documented, and the main reason this type of power generation is deployed so broadly is the cost. Coal is cheap, mainly because the toll it takes on the environment and human health is not accounted for in the price that people pay for their electricity. At the moment, only about 3% of electricity generated in the state comes from renewable energy such as solar or wind power. Pennsylvania does have a renewable energy target of 18% by 2021, but residents can expedite the state’s transition to clean energy by switching their electricity supplier to Community Energy, enabling us develop and generate more renewable energy to supply to you. The more Pennsylvanians make the switch, the cleaner the state’s energy mix will be. The current state of electricity generation in Pennsylvania: Mainly coal and nuclear. Community Energy is a leading developer of renewable energy projects across Pennsylvania–and beyond. Two examples of our projects in PA are the Bear Creek Wind Farm and the Keystone Solar Project (Pennsylvania’s largest solar farm), but we also have projects in other states, and are constantly adding more to our portfolio. It is possible for Pennsylvanians to make the transition to clean energy for at little as $5/month through Community Energy. The charges will be added on to your usual power bill. Can I install solar panels in PA? Rooftop solar is an excellent option for the right home or business looking to cut its carbon emissions and save money on power bills. Community Energy has teamed up with world solar installation leader SolarCity to help our customers make the switch. If you’re interested, contact us by filling out the form below to learn more and find out if you are eligible. Zero-down ‘pay as you go’ solar leasing options are available in addition to purchase options.